We now have gift certificates available. These can be ordered by phone 0800 327 668 or by calling into our shop in the Coromandel. The certificates can be made out for any amount and can be redeemed either at our shop or over the phone. 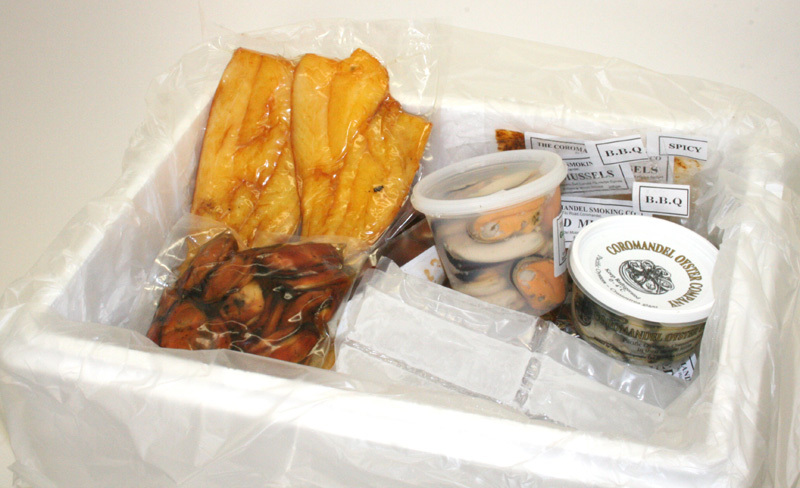 All product is delivered in poly bins with ice to ensure that the appropriate temperature is maintained. Delivery days are Tues - Fri.